Using Oracles platform, Apps Guru has helped Clients set path for consolidated and virtualized environment. 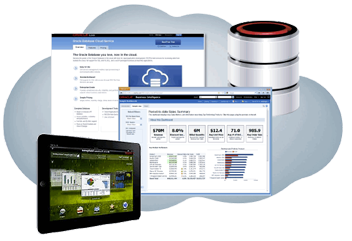 We can help you virtualized your systems on Oracle VM solution. Our DBA virtualization team works with you to find the right fit for your company to substantially reducing your overall TCO of your Oracle footprint. With the cost of memory and processing power going down, every CIO wants their data centre to be cleaner, greener and cooler. Virtualization of applications and databases, consolidation of resources and hardware can help you achieve these goals. By Virtualization, Oracle E-Business Suite customers have saved on license cost, infrastructure cost and cost of managing changes. As you plan your rollouts and new product implementation, having a flexibility to bring up another Oracle instance in a very short time is a big advantage.